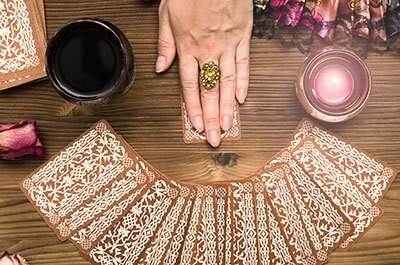 More online fortune tellers, who use different forms of divination are also online right now. 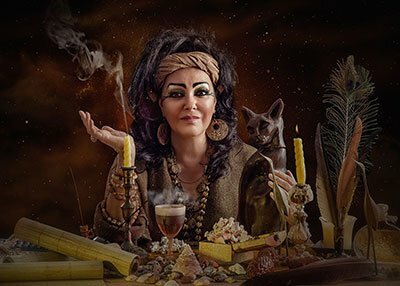 Have you ever wondered what, if any, do the vast variety of psychic and spiritual disciplines and techniques have in common? Of course, they help us walk our path better, grow more, and become more evolved beings as we live our day-to-day lives and journey through life, but do they have any spiritual principles and teachings in common? Is there a key source that they refer to, or are based on, that precedes what we see on the surface – cards, natal charts, or numbers? The answer is a resounding yes! There's much more to what meets the eye in a psychic or spiritual reading session. To be able to see the big cosmic picture, let's take a few steps back and study the organizing principles of our universe. ‡ Powerful Psychic Experts, their clear answers will help you to find you way to love & happiness. ‡ Highly Rated, over 3 million 5-Star ratings from people just like you. Imagine taking an absolute intro course in any science subject – what would the teacher teach first? Most likely, he or she would introduce you to the most basic concepts and the most important formulae you'll need to keep in mind the whole semester. It only makes sense. Let's now imagine you're taking a course in psychic arts and sciences. How would your first class go? Which would be the key concepts and principles introduced? Are there formulas you'll need to know? We asked many professional, practicing psychics and spiritual advisors this question, and their answers were surprisingly similar even though they practice different and sometimes seemingly completely unrelated psychic techniques and methods. Below are the most common responses, organised into three separate sections for your convenience. Elements are the main building blocks of our universe. Earth, water, fire, and air are the four element that create our universe and everything we see in it – the land, the air we breathe, weather patterns, natural events and disasters, the water we drink, the seas and the oceans, natural wonders, heat, volcanos, the sun and the moon, and the human body itself – we're made of the four elements inside and outside. The four elements are like the four legs of a chair or the four wheels of a car. Sure, a chair or a car could function with three legs or wheels, but four makes them stable, sturdy, and completely balanced. In numerology '4' represents dependability, stability, the ability to provide, and the four corners. In yoga and other Eastern traditions, the first chakra, the earthly existence, is symbolically represented with a square – which has four corners. As above so below, as inner so outer. The whole universe can be likened to two mirrors facing one another – showing us endless self-images that teach us about ourselves. In astrology, the main such mirror is the natal chart – a chart where you see how the universe i.e. the planets and celestial bodies were organised when you were born, exact to the minute, as seen from the location you were born in. Comparing this chart to how the planets are shifting today, their relative location to where they were when you were born, provides an extremely detailed self-mirror for your soul to look at. Astrology uses the "As above, so below" principle to create this chart, relying on the celestial life above to read into the life you're leading down on Earth. Tarot isn't all that different. In tarot, it's "As inner, so outer" – relying on the inherent wisdom of the 'Morphogenetic Space' – the powerful all-seeing, all-knowing space we're breathing and living in – tarot cards show the inner life of the querent at the moment of the asking. While the cards might depict what's happening in the life of the querent, i.e. 'The Outer', the main lessons are about the choices the soul has, what it needs to learn and the decisions it needs to make as it moves forward. No card in the spread is random or coincidental. There's tremendous spiritual wisdom and guidance in what the cards show the soul regarding it's inner and outer journey. They are an amazing mirror. All other psychic techniques and methods follow the same principle – numerology holds a 'Mathematical' mirror to us, the crystal ball shows a 'Literal' mirror, while spirit guides provide one that comes from another dimension. Archetypes are real spiritual energy clusters or entities. Archetypes are universal mythic characters that live in our collective subconscious and consciousness the world over. The famous psychologist Carl Gustav Jung thoroughly used the concept of archetypes to explain his theories of human psyche. Thanks to him, the science of psychology was enriched and expanded. "Archetypes aren't imagination – they are intense cosmic energies we can tune into, feel in our bones, or see in action in other people." This is because they connect us with our deeper truths, archetypes are a main influence on all psychic traditions. In tarot, the 22-card Major Arcana, also known as the fifth suit, offers us 22 powerful archetypes. The best known are number IV Empress, representing Mother Earth - the cosmic mother energy that gives births to humans and all life forms, number XIII Death, representing the Grim Reaper that most of us fear, bringing end to life as we know it. The Hermit, number IX, and Justice, number XI, are also powerful archetypes we might instantly recognise in ourselves or in others. The Hermit represents someone who's going through a deep inner journey and thus needs more alone time than usual. He also represents sages who meditate for days without uttering a word, sometimes in isolation. We can recognise this archetype in others, or sometimes in ourselves when we desperately need a break from our busy life to rethink things. Justice represents 'Divine justice' – in all those where we witness an interesting twist of fate that puts everyone in their place, we witness the power of this archetype. People who devote their lives to seeking justice are the embodiment of this archetype. Archetypes play a major role in astrology, as well. All planets are personifications of archetypes – whether it's the warrior Mars, the beautiful and loving Venus, or the mysterious Neptune. While the Sun might represent our ego, the Moon is all about our subconscious and the habits and feelings we try to hide from the world. 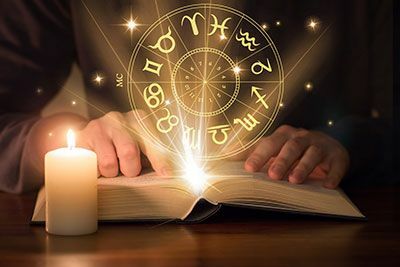 Because the position of each planet affects us, and their positions relative to one another is crucial too, we can view astrology as a cosmic theatre of archetypes – on an eternal stage that never ceases to exist, or amaze us! We can offer many more examples to the organizing principles that underlie almost every psychic tradition – in this post we shared the most basic and the most important ones – we offered a 101 intro into all things psychic. To learn more, keep exploring different traditions and you'll be amazed by the spiritual wisdom found in all.